Let Me Go On &; On...: Is It Enough? At times, apologies are more than welcomed and surely a brave act of love and a willingness to oversee any past hurts that have been endured. But is it enough? Words are sometimes meaningless. And the old cliché, "Actions speak louder than words" can be applied here. There's something to be said for a constant persistence of sincerity - a genuine act of regretted actions in the form of a friendly invite, a "welcome back" if you will - if one accepts of course. With anything in life, I weigh out the cons and pros. It may sound corny, but it really works. I even weigh out the cons and pros of a past friendship, an old job opportunity, to even bringing something new (or old) into my diet. Anything. Is it worth it? Will it (or they) improve my life? What if "just taking a chance" is the only option you have? Fear can play a major role in your decision to bring back something in your past. Or, should the past be completely forgotten about? What if your past is still haunting your mind? What if the past is still very much current - as though it never left? What if it took only one phone call to reconnect to an old soul once again? Suzanne worked with me years ago at the phone company. She got her cousin, Jody a job working downstairs in the repair department. Whenever you saw Suzanne, you saw Jody. They were not only cousins, they were best friends. They've been like this since childhood. Both ladies were single and still out and about in the dating scene. It took one man to ruin this beautiful friendship and bloodline of love. Without getting into all the details, these two ladies haven't spoken one word to one another for almost five years now. The blowout they had was so intense and so hurtful, that Suzanne just cannot get over it. Jody on occasion will throw out an olive branch, but Suzanne quickly snubs it out by not responding at all, letting her know that her offerings mean absolutely nothing to her...or do they? But what about their past? What about all the good time and laughter they've had? What about their forever bond? Or has it been completely snipped off by the lack of trust on Suzanne's part? 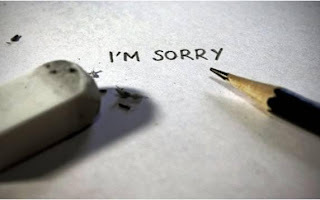 While we all make mistakes, isn't it worth a shot to accept the apology if they have proven to still be persistent in attempting to reach out to you? If she had just said, "Well I'm sorry" and then just left it in the air without any other solid attempt, then maybe I'd say it wasn't very sincere. But for five years, Jody has been making attempts (almost to the point of begging) to mend the friendship, or at least make peace. Most of all, to be family again. What about love relationships? What about normal everyday friendships? It happens to every kind of circumstance. Does forgiveness mean forgetting? Of course not. But when you say "you forgive", the actions of forgetting will draw nearer only due to the love you have for that person. Proof is in the pudding once that person, the one who hurt you, shows you that they are in fact different, or acknowledges that what they've done was a complete mistake. 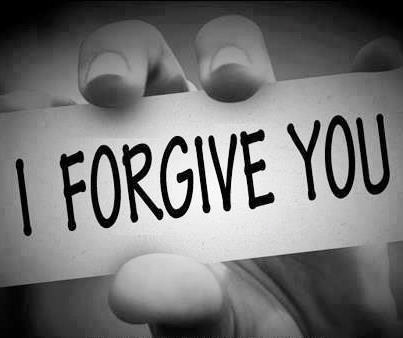 I also believe the gift of forgiveness is for the one who is doing the forgiving. It takes the heavy burden of anger or any bitterness off the shoulders of the person who was hurt. It makes life a little better, even if they decide to never speak to their offender again. But if you don't give people a chance - the people who meant the world to you at one time - then how is that 'taking chances in life'? By giving chances, you are taking chances. I have been on both sides of this fence. None of it was a blast. On one hand, holding a grudge for me means less sleep, more anxiety, more various symptoms of stress. Even when I said, "I forgive you", I found that I was still having sleepless nights or periods of stress ailments and didn't know why. Then I truly went out of my way to connect with the person again, and my stress seemed to have lessened. I slept more. Strange. Your body can subconsciously shake you around so to speak until you do the 'right' thing, or what you really want to do but can't. I'm learning a lot about this past few years and there has to be a science to it. So next time when you say "it's okay" and walk away without fully meaning it, keep in mind the power of a genuine heart. It takes courage to both forgive and to apologize. Both have to be sincere or it's just a waste of time. Life's too short. You have to decide, is it enough?